I have been on a grain free diet for the last 283 days. If you are struggling with weight loss and/or depression, my experience is relevant. I am not a nutrition expert, nor a strength conditioning expert like Charles or any other authority that I mention here. My expertise is purely in my experience. I have struggled for most of my life with being a chunky, pudgy, husky, kid, adult and guy struggling to stay healthy. I am an average joe, middle aged new york city born and raised who has tried just about every diet known to man. I started with weight watchers when I was a kid, to vegetarianism, protein shakes, veganism, fruitarian, macrobiotic, ornish, mcdougall, susan powter and about 200 more. My kids poked fun at how many diet books I had, and yet, except for when I was 18, I could not get under 235, 215, maybe 205 the least, but it was very short lived, I was so hungry and I cannot remember any time that I was building muscle, despite working out on the treadmill and doing machines. The last nine months has been a real learning experience for me and I want to share it with anyone else who has been searching for way into the slim zone. I am always on the look out for articles by the experts discussing the topics that I am interested in and that I think will benefit others like myself. Optimal body composition with a low-carb, high-protein diet is not just about eating a limited amount of carbs and upping your protein intake. Rather, a lean, strong physique is best achieved by eating the right carbs at the ideal times. 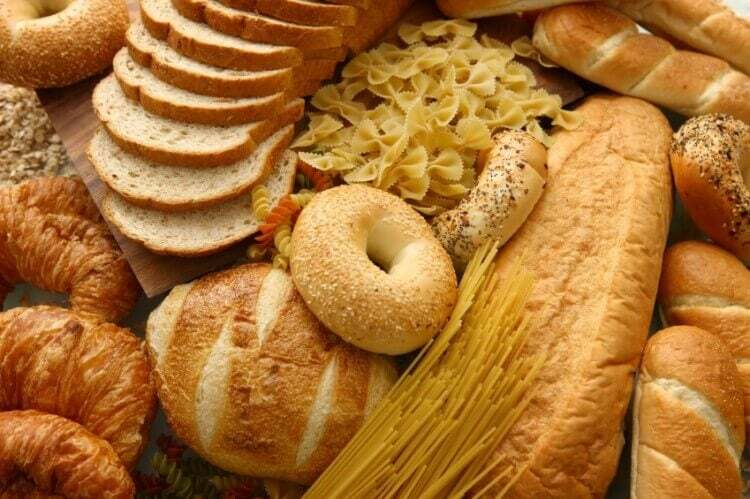 Here are ten rules for carbohydrate intake for health and a lean body comp. I did not start to experience getting leaner until I cut out breads, even whole wheat breads. Every day I used to have whole grain bread in the morning, whole wheat pita, whole wheat burrito, whole wheat whole shmeat, all the time. My body never changed while eating breads, whether I was doing cardio, or whether I was not, whether I was lifting weights, whether I was not, not much changes that I can see. And in fact, before I started the Fit Apprentice, my AC1 (?) enzyme which gets to a certain level when you are type 2 diabetic, mine was just about there, I was already on the path , on the cusp of diabetes. And after six months, that enzyme is now at normal level. I experienced many of these symptoms, weakness (while this weekend I walked over 10 miles without feeling much of any type of exhaustion), abdominal bloating, did you see the picture of my belly in https://hashimashi.com/top-8-benefits-squats? If that is not abdominal bloating , out to 48″, what is? Adrenal exhaustion he says can result in fatigue, depression and insomnia, all symptoms that I have grappled with for many years, especially depression and insomnia. So, I can accurately say that for myself, the removal of bread has definitely helped to alleviate those symptoms. I wish my shrink had prescribed grain removal ten years ago! To learn more about post-workout nutrition, check out Top Five Things You MUST Know About Post-Workout Nutrition. Benn, B., Green, T. Glycemic Index and Glycemic Load: Measurement Issues and their Effect on Diet-Disease Relationships. European Journal of Clinical Nutrition. December 2007. 61(Suppl 1), 122-131. Nilsson, A., Ostman, E., Granfeldt, Y., Bjorck, I. Effect of Cereal Test Breakfasts Differing in Glycemic Index and Content of Indigestible Carbohydrates on Daylong Glucose Tolerance in Healthy Subjects. American Journal of Clinical Nutrition. March 2008. 87(3), 645-654. Katz, A., Falchuk, Z., Strober, W., Shwachman, H. Gluten-Sensitive Enteropathy. Inhibition of Cortisol of the Effect of Gluten Protein in Vitro. New England Journal of Medicine. July 1976. 295(3), 131-135. Brites, C., Trigo, M., Carrapico, B., Alvina, M., Bessa, R. Maize and Resistant Starch Enriched Breads Reduce Postprandial Glycemic Responses in Rats. Nutrition Research. April 2011. 31(4), 302-308. Hayashi, K., Hara, H., Asvarujanon, P., Aoyama, Y., Luangpituksa, P. Ingestion of Insoluble Dietary Fibre Increased Zinc and Iron Absorption and Restored Growth Rate and Zinc Absorption Suppressed by Dietary Phytate in Rats. British Journal of Nutrition. October 2001. 86(4), 3443-451. De Jong, M., Docter, R., Bernard, B., et al. T4 Uptake into the Perfused Rat Liver and Liver T4 Uptake I Humans Are inhibited by Fructose. American Journal of Physiology. 1994. 266, E768-775. Schalkwilk, C., Stehouwer, C., Van Hinsbergh, V. Fructose-Mediated Non-Enzymatic Glycation: Sweet Coupling or Bad Modification. Diabetes/Metabolism Research Review. September 2004. 20(5), 369-382. Bousova, I., Pruchova, Z., Trnkova, L., Drsata, J. Comparison of Glycation of Glutathione S-Transferase by Methylglyoxal, Glucose, or Fructose. Molecular and Cellular Biochemistry. May 2011. Published Ahead of Print. Boaz, L., Moshe, W. Fructose Triggers DNA Modification and Damage in an Escherichia Coli Plasmid. Nutritional Biochemistry. April 2001. 12(4), 235-241. Goode, K., John, J., Rigby, A., Kilpatrick, E., Atkin, S., Bragadeesh, T., Clark, A., Cleland, J. Elevated Glycated Hemoglobin is a Strong Predictor of Mortality in Patients with Left Ventricular Systolic Dysfunction who are not Receiving Treatment for Diabetes Mellitus. Heart. 2009. 95, 917-923. Hopps, E., Caimi, G. Exercise in Obesity Management. Journal of Sports Medicine and Physical Fitness. June 2011. 51(2), 275-282. Thakur, G., Mitra, A., Pal, K., Rousseau, D. Effect of Flaxseed Gum on Reduction of Blood Glucose and Cholesterol in Type 2 Diabetic Patients. International Journal of Food Science and Nutrition. June 2009. 60(S6), 126-136. Losso, J., Holliday, D., Finley, J., Martin, R., Rood, J., Yu, Y., Greenway, F. Fenugreek Bread: A Treatment for Diabetes Mellitus. Journal of Medicinal Food. October 2009. 12(5), 1046-1049. Qin, L., Xun, P., Bujnowski, D., Daviglus, M., Van Horn, L., Stamler, J., He, K. Higher Branched-Chain amino Acid Intake is Associated with a Lower Prevalence of Being Overweight or Obese in Middle-Aged East Asian and Western Adults. The Journal of Nutrition. 2010. 141(2), 249-254.